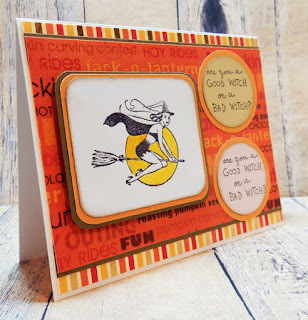 Good morning everyone, I've got a post on the Kelly Craft blog today using some funny Jimbo Lojik stamps - they always make me laugh. 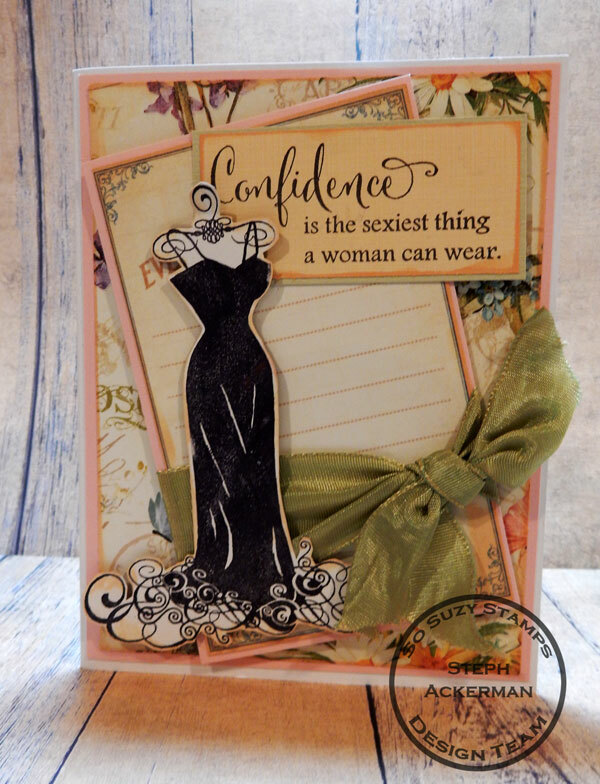 Many of the sentiments are spot on and I couldn't resist creating these fun lingerie cards. 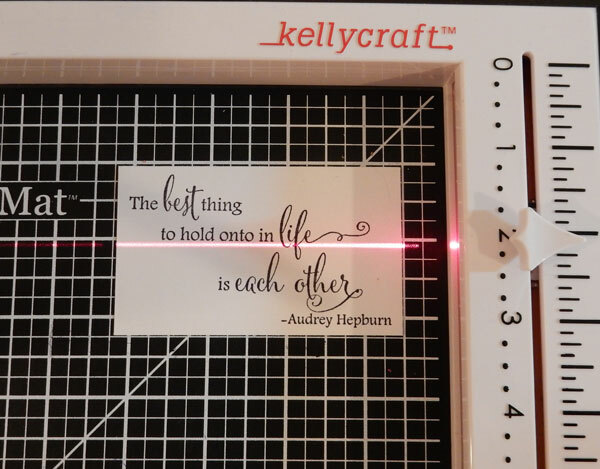 Check out the complete post on the Kelly Craft blog. Hi everyone, it's time for a new challenge at Cornish Heritage Farms and I'd love to see your cards celebrating nature in all it's glory. 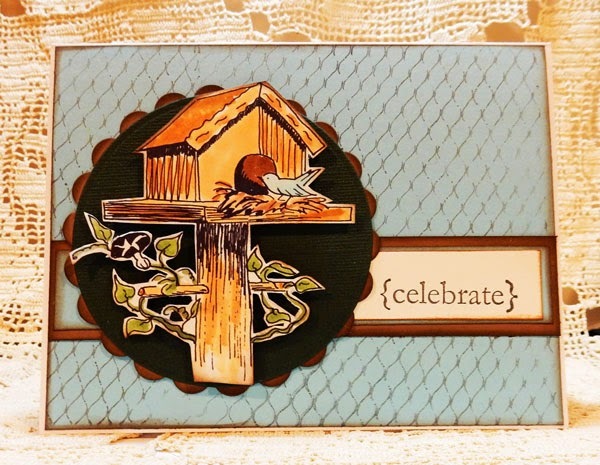 I love the Birdhouse Digital Stamp - it's the perfect depiction of nature with the bird and surrounding leaves. I colored the image with Copic Markers and then fussy cut it as I wanted it to stand out against the background. 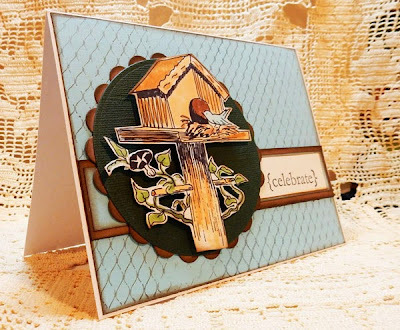 I've used the Netting Backgrounder stamp, for the background, inking it with brown ink and stamping it on blue cardstock. 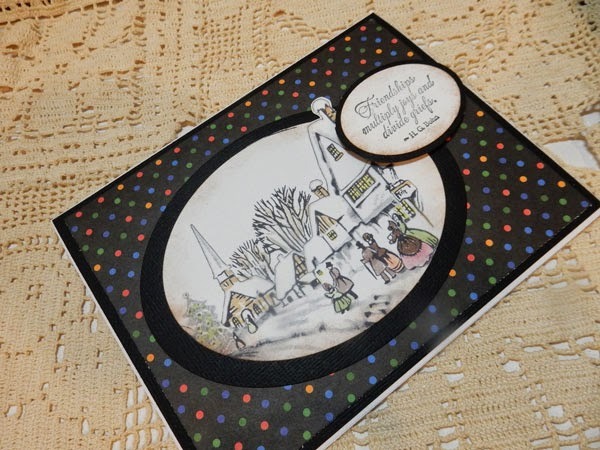 Across the center of the card I added strips of brown and blue and added the sentiment from the Birthday Greetings stamp set. 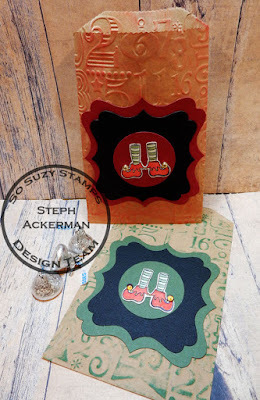 Hi everyone, today is my day for posting on the So Suzy blog and I'm using one of the newest Christmas stamps - Elf Shoes. Just think of the fun creations you can make with them. I thought they'd be cute on candy pouches for the holiday. 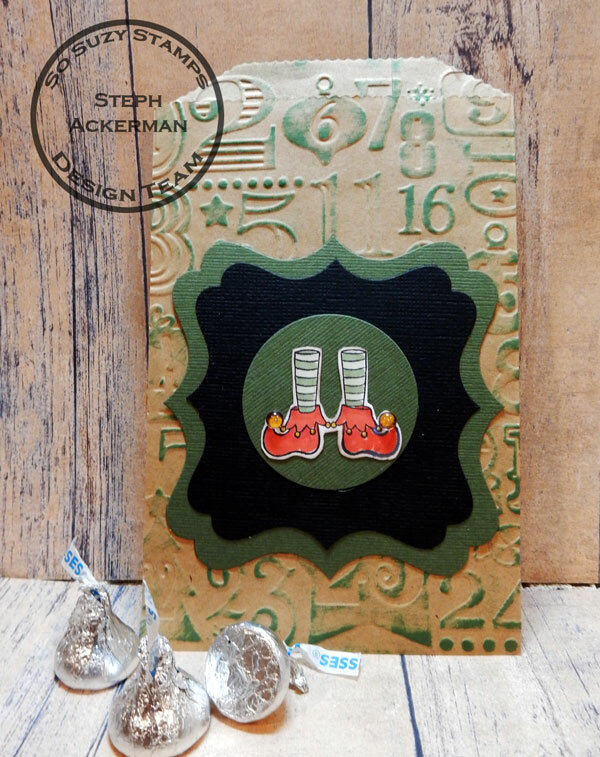 Each envelope was embossed with an older Cuttlebug embossing folder and then inked. In keeping with Christmas, one was inked in red and the other in green. The Elf Shoes were colored with Copic Markers and then fussy cut. Coordinating colors of die cut panels were added to the bags and the Elf Shoes were placed on top. Dew Drops were added to the shoes like little bells. Aren't they cute? Don't forget to stop by the store to check out all the wonderful stamps available. Hi everyone. My first post as a member of the EyeConnect Crafts Design Team is up on the EyeConnect Crafts blog. 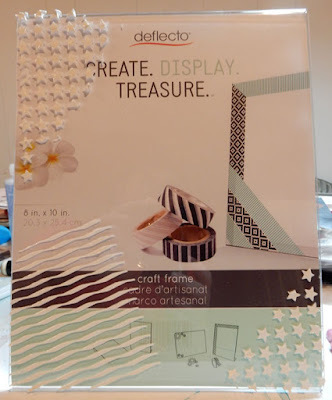 I am so excited to be designing with these amazing chipboard products. If you haven't done so already, please take a look around the store and check out the fun chipboard products available. I've used Lace-Up Long Dress which is fabulous - check out the lace up - for the front or the back!! 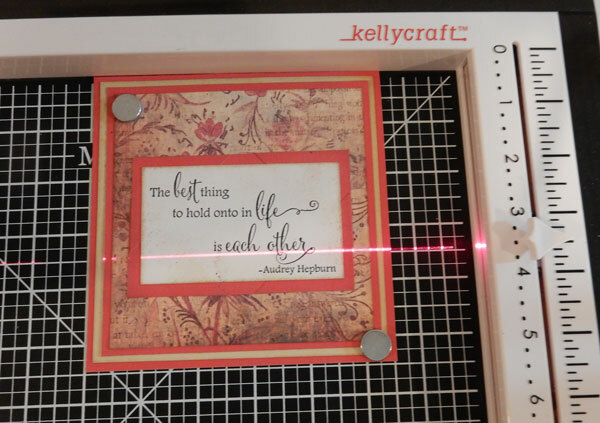 And, of course, I just had to pair it with a fun stamp from KellyCraft (Set B). Stop by the store and check out all the fun products available. 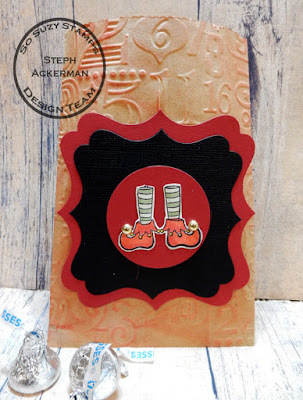 Good morning everyone, I've got a post on the Art Anthology blog today. It's a canvas for the new parents-to-be. 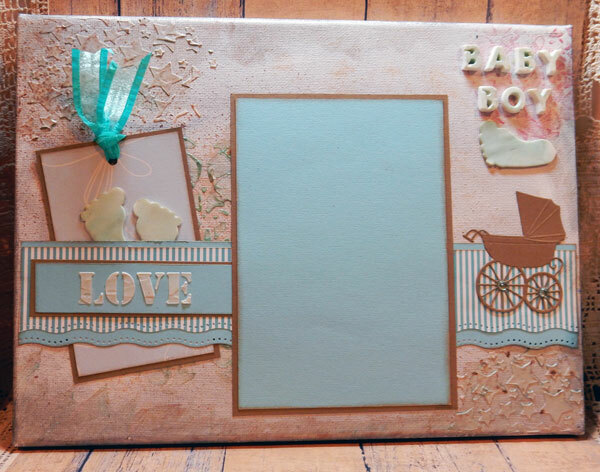 And since they are having a boy, I've used lots of blue and brown. It will look awesome in the new nursery. I've used lots of Art Anthology paints and products from Makin's Clay. Change up the color of your clay by mixing it with paint. Messy, but lots of fun. I've used clay to create Baby Boy using a mold and then I've rolled out the clay and punched baby feet. Cute, don't you think! Please stop by the blog for all the details. 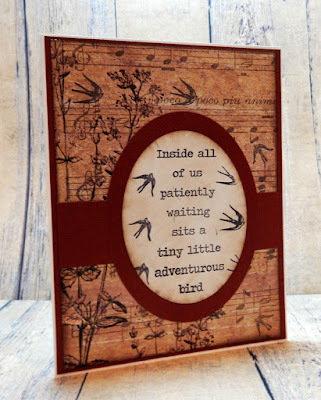 Hi everyone, today we are blog hopping with Ann Butler Designs and Deflecto Crafts. Ann Butler has some amazing stencils, stamps, inks and paints that work beautifully with Deflecto products. 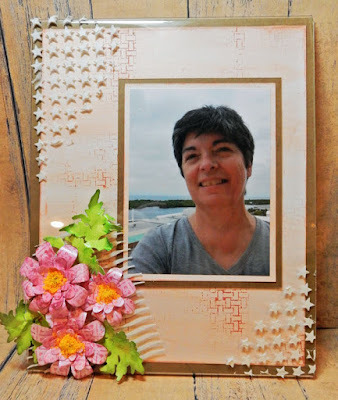 I've used Deflecto's 8" x 10" Craft Frame for this project. 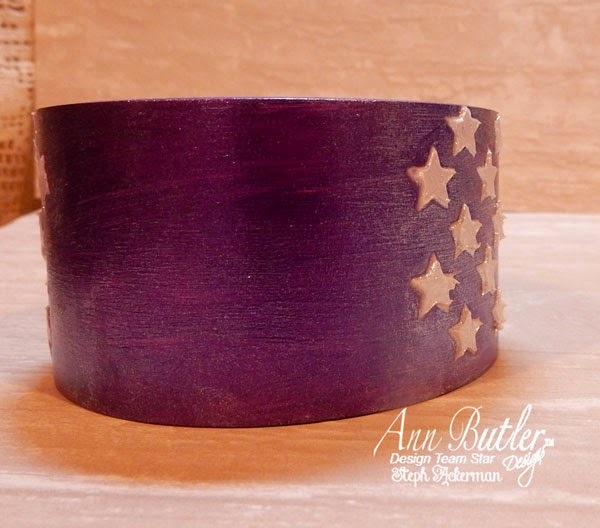 I began by using molding paste through the Wave and Stars Art Screens. 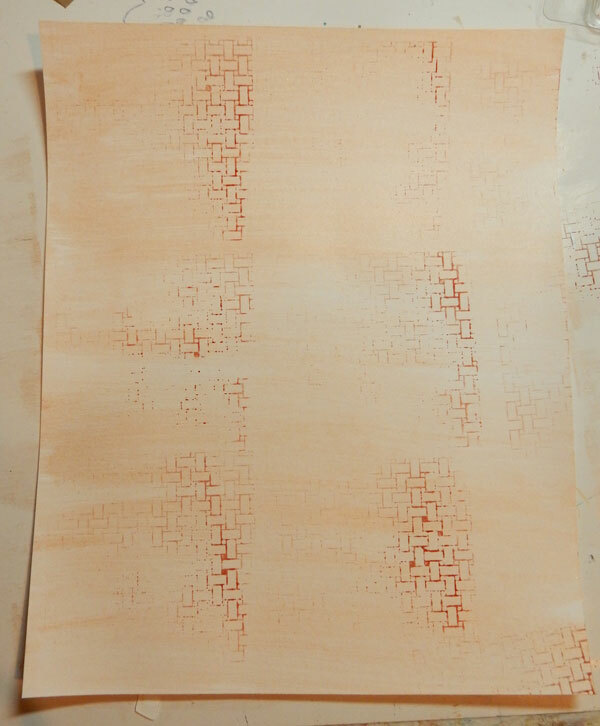 While waiting for the molding paste to dry, I created the background. Using white cardstock, I painted it with Sheer Copper Iridescents. Once dry, I randomly stamped the Basket1 Stamp using Canyon ink. I didn't want complete coverage so I was not careful about how/where I stamped. To create the flowers, I stamped the Picnic1 Stamp on white cardstock using Berry Crafter's Ink. After die cutting, I edged some of the flowers with Berry Iridescents, then formed them using the handle of a paint brush. I then assembled them into clusters with brads. 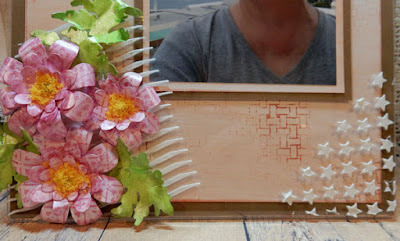 The flowers were placed in the left corner using Tacky Craft Glue for a good strong bond. 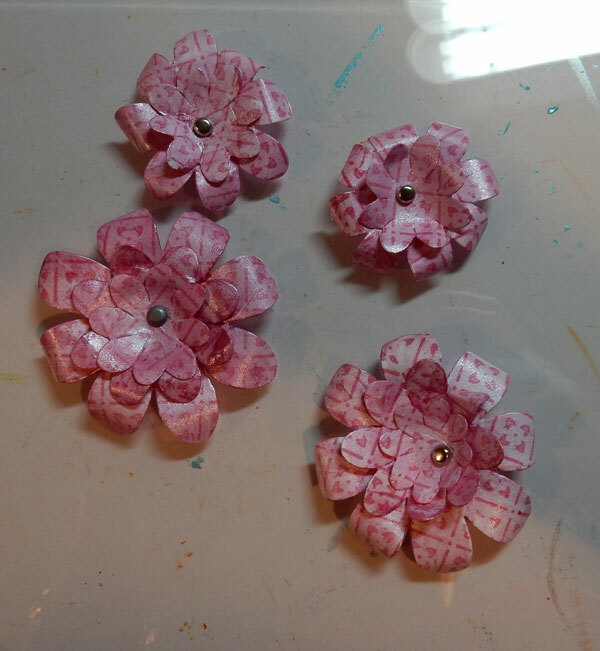 To adhere the yellow flower soft to the flower centers I also used Tacky Craft Glue. The leaves were die cut from white cardstock and then painted with Limelight Iridescents and edged with Deep Woods Crafter's Ink. They were then inserted amongst the flowers. A photo was matted with 2 layers of cardstock then added to the stamped background sheet and was then inserted into the frame. The beauty of this frame is that the photo page can be changed out when you want to showcase another photo. Please stop by everyone's blog and see their creations. And please leave some love along the way. My post on the ETI-USA blog today. 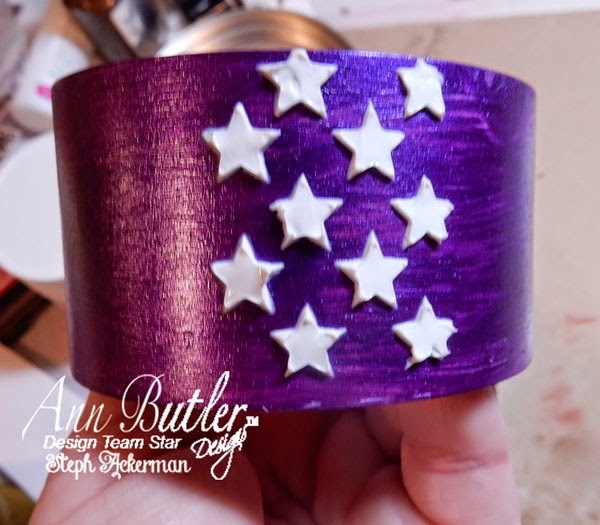 I'm working with Envirotex Jewelry Resin today and created a crown for my card. 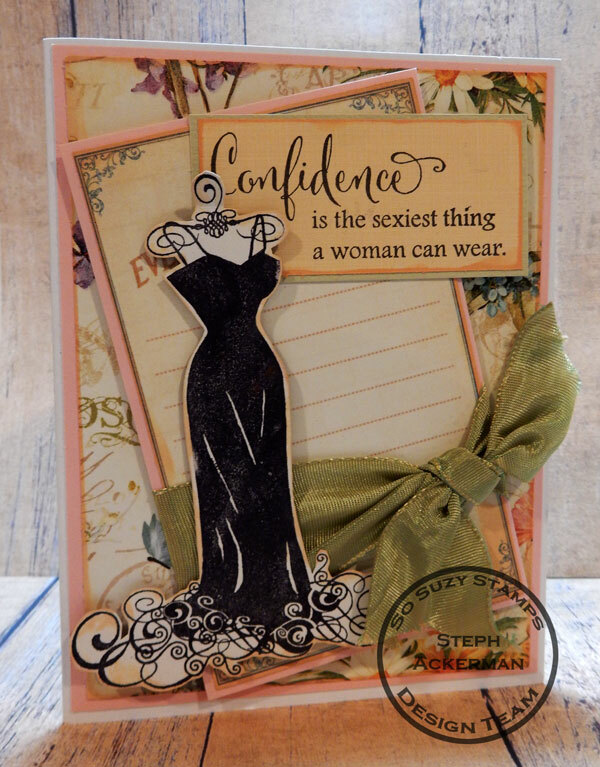 It was the perfect embellishment for my sentiment from So Suzy Stamps. 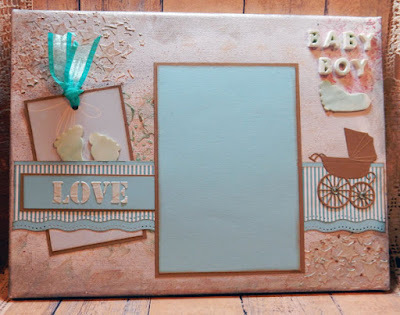 Pop on over to the ETI blog for the details. It's a new challenge at Cornish Heritage Farms. Did you know that today is Pandemonium day? It's a day to go with the flow and see what happens!!! Today I'd love to see your quick cards, created in 10 minutes (well, we can stretch that to 20 minutes!!) or less. Sometimes you just have to work quickly so show us what you can do. 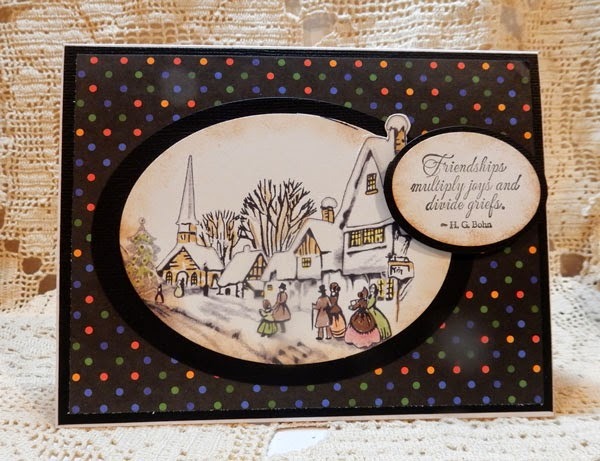 I die cut around the image, then added a friendship phrase from the Friend Expressions stamp set which was also die cut before adding it to the card. There you have it. Created in about 20 minutes. Hi everyone, today is my day for posting on the So Suzy blog and I'm using two of my favorite stamps - the Slinky Black Dress and Confidence. Don't you love this stamp? I've paired them with Graphic 45 papers because they just scream femininity. 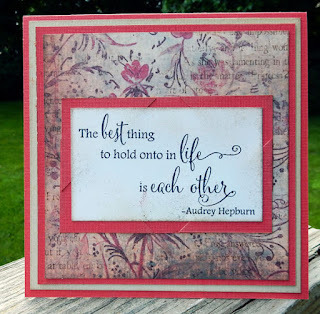 Hi everyone, the design teams from Clearsnap and Clear Scraps are blog hopping this week. For my first card, I used Clear Scraps 6" Fern Leaf Stencil to create a background. 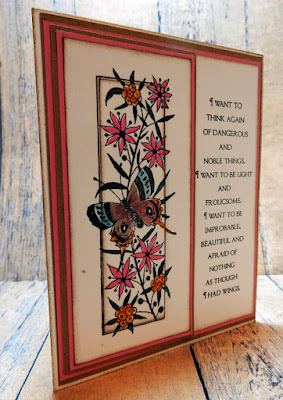 I inked the stencil with ColorBox Pigment Ink by Teresa Collins in Passion Pink and Glitz Gold. 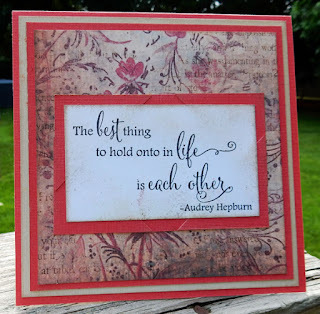 The panel was then inked with Passion Pink and matted with brown cardstock. I tied white ribbon around the panel before adhering it to the card. 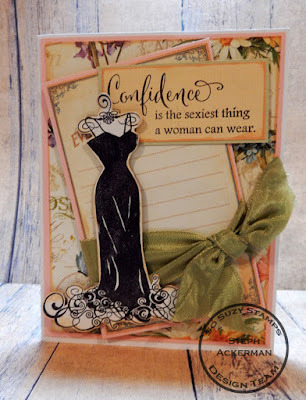 A rose stamp was inked with Passion Pink and Glam Green before die cutting. 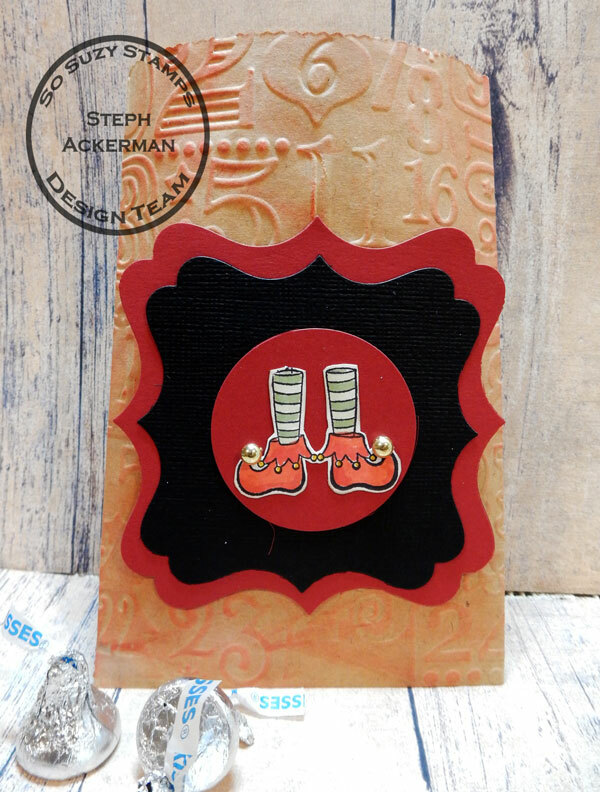 It was mounted on ovals and added to the card with foam adhesives for dimension. 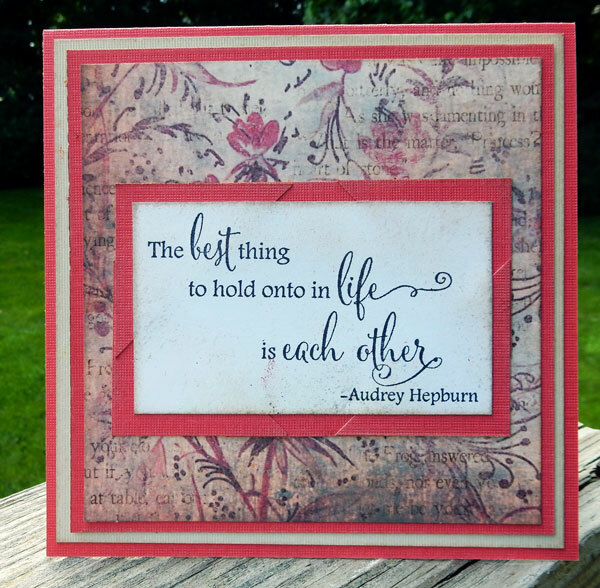 The sentiment was stamped in Passion Pink, die cut and then tied to the ribbon with twine. Inside I added another panel that had been created the same as the front panel. 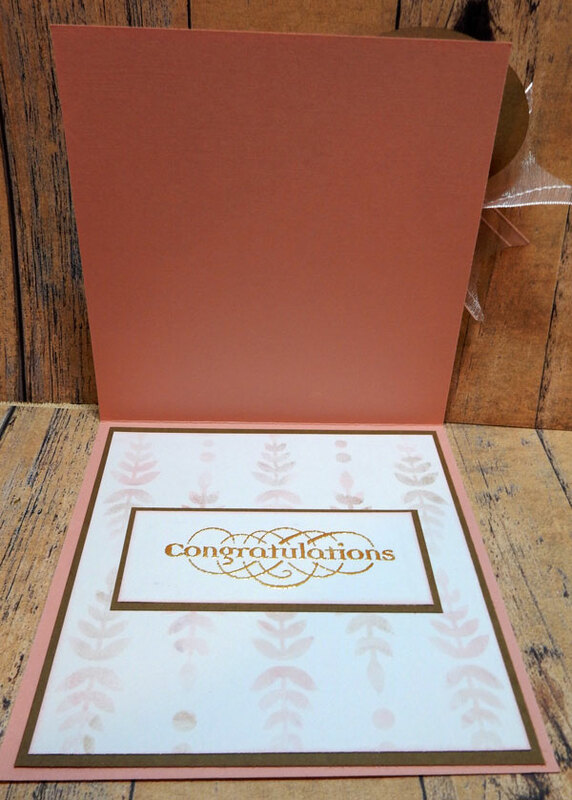 Congratulaions Design Adhesives and Goldmine Designer Foils were included inside for a quick sentiment. 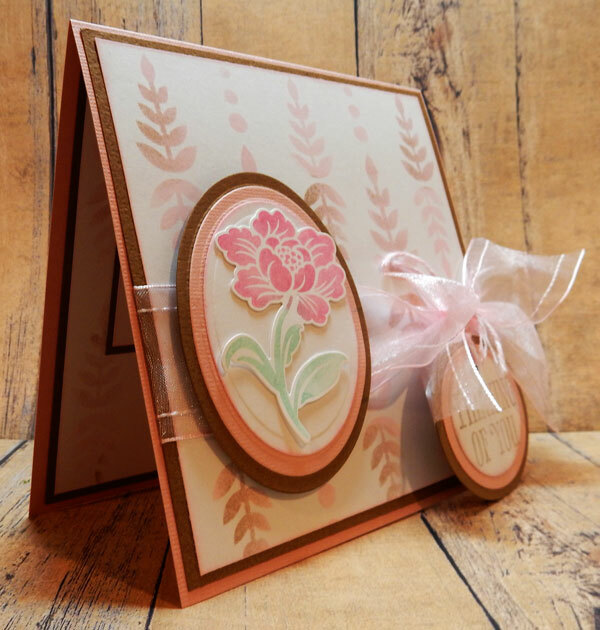 To showcase the frame, I die cut an oval in the card front and adhered the frame around the opening. 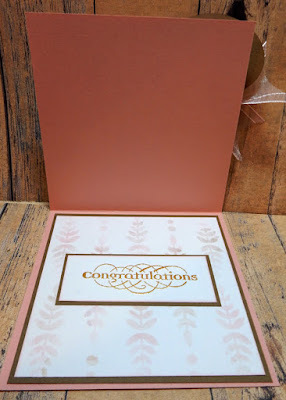 Inside the card, I stamped a birthday sentiment and added a little color with Gold Lame Smooch Accent Ink. 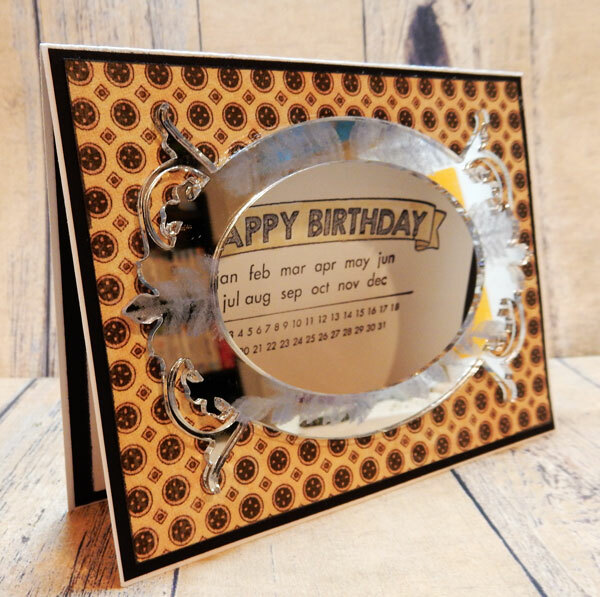 This frame created a fun effect for a card, plus it's light weight so it won't add much to the card's weight when mailing. Hi everyone. 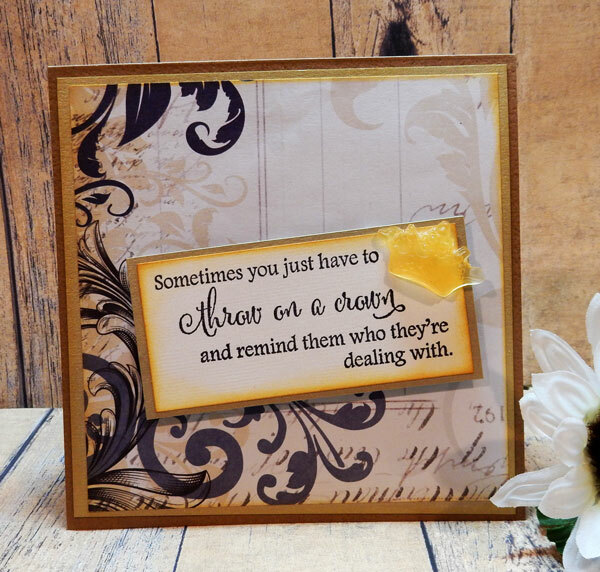 It's so easy to pair an amazing sentiment with some pattern papers and keep the focus on the sentiment. 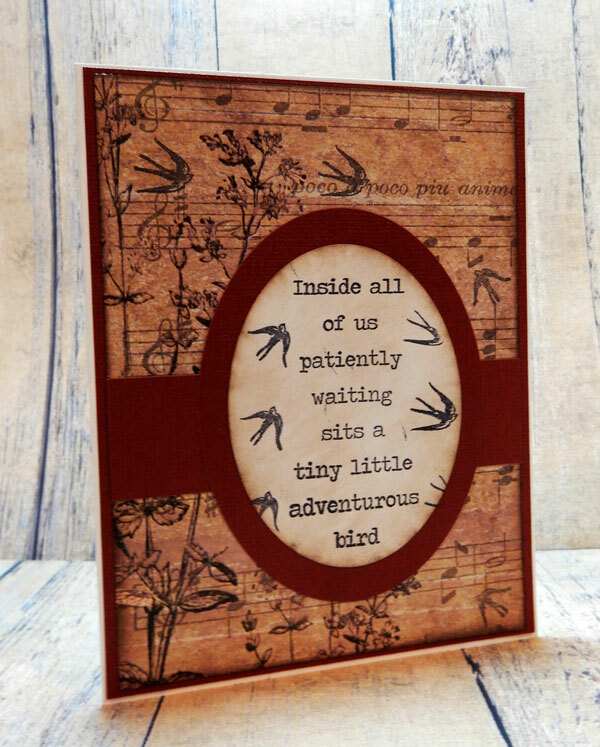 This awesome sentiment is from So Suzy Stamps. 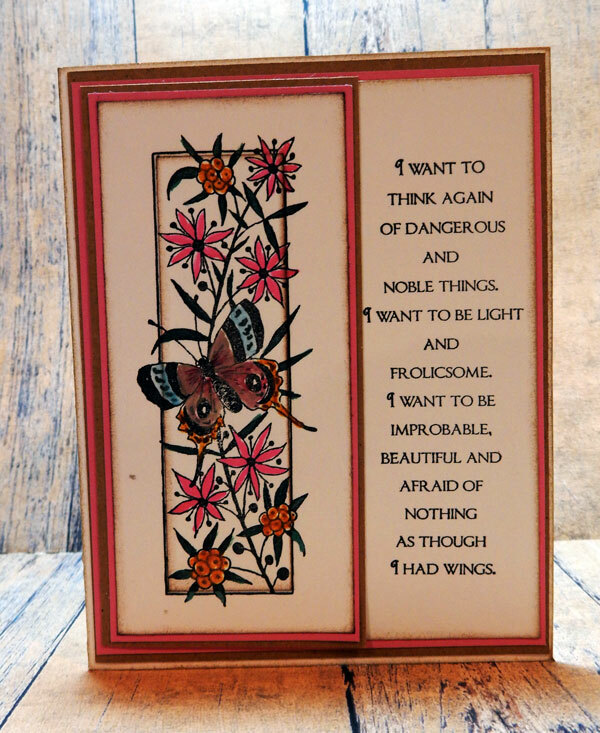 Check out the store for a great variety of stamps. 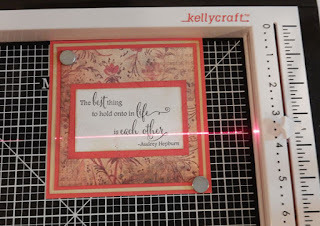 I easily lined up the sentiment with the help of Kellycraft's Get It Straight Laser Square and Multi Mat. 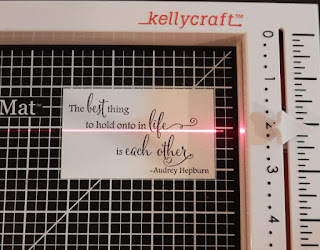 The Laser Square also helps when centering the sentiment on the card. 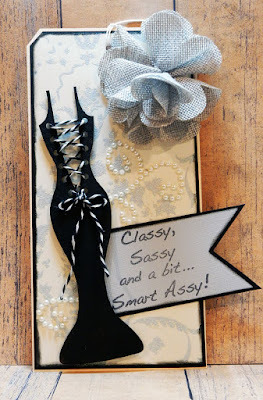 And a beautiful card comes together easily. 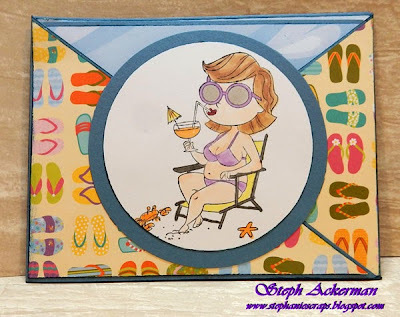 Well, summer is in full swing and this month's theme at Scor-Pal is summer creations. 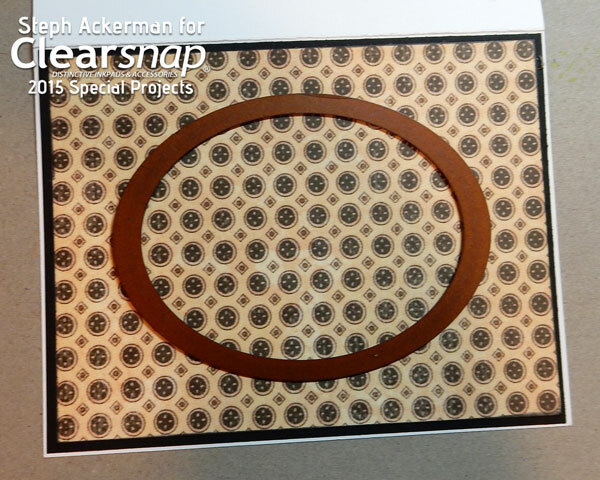 We'd love to see your summer projects with more than one fold. Remember to upload your card with more than one fold to the Scor-Pal blog. 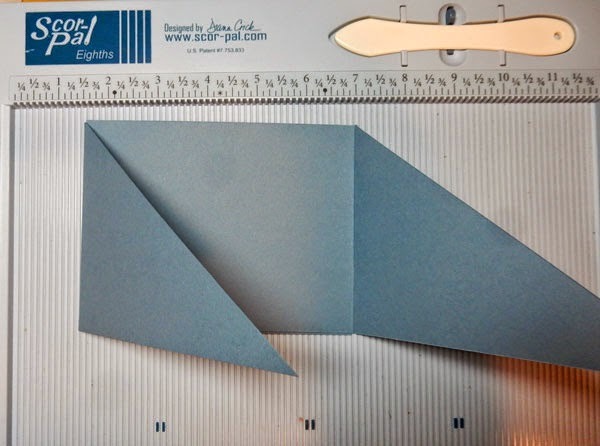 To create the envelope card, cut cardstock 4 1/4" x 11". Score at 5 1/2" and fold. Using Scor-Tape, adhere the panels together creating a 3 panel card. Cut the outer panels diagonally. Cut papers to fit the outer panels. Using Scor-Tape along the bottom edge to form the card. Stamp image from Creative Vision Stamps - Summer Lovin - and color with Copic Markers. 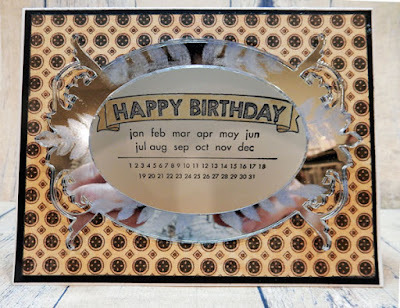 Die cut and add to front. 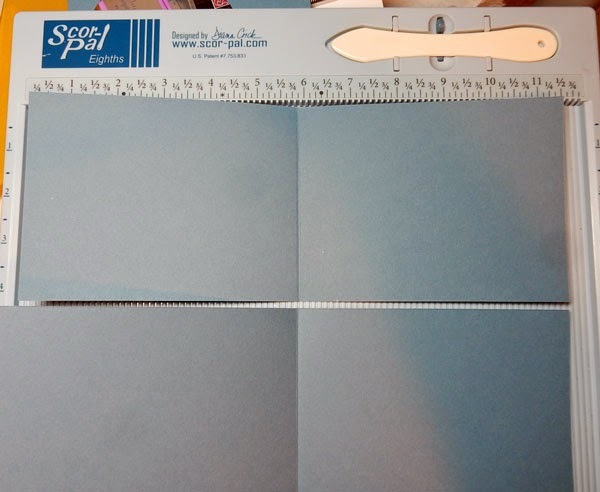 Cut a panel to fit inside the envelope for the card. 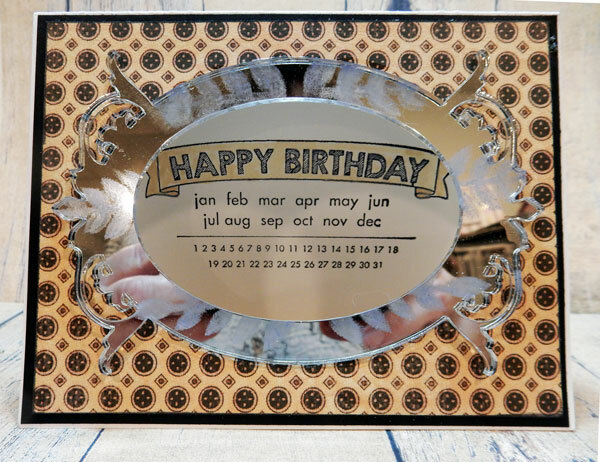 Stamp sentiments using the same stamp set. 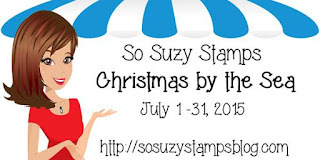 It's a new month and time for a new challenge at So Suzy Stamps. This month we are working with some awesome new stamps. 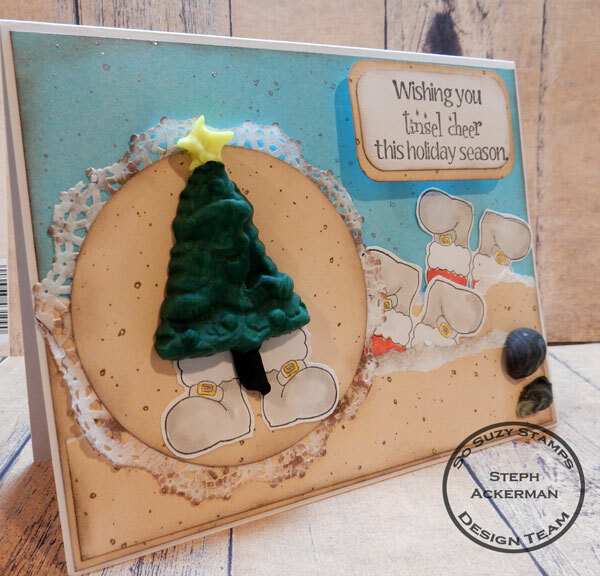 I'm using Santa Boots and the Tinsel Cheer sentiment, It doesn't matter if you are by the sea or in the snow, we know for sure that Santa will always come. But how does he spend his vacation once Christmas is over? Well he relaxes on the beach and even takes a swim. 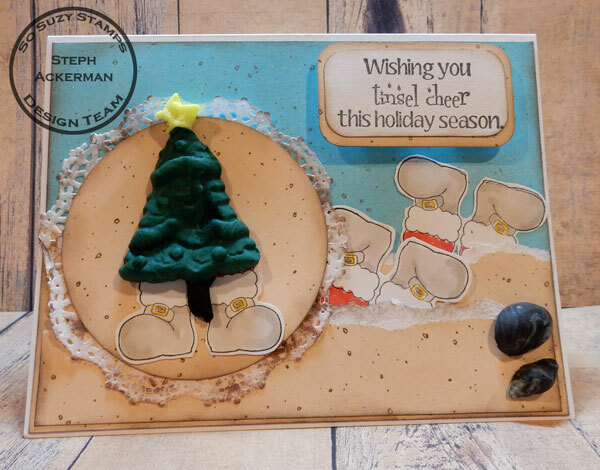 Using Makin's Clay products- clay and Sea shell push mold - I created several shells and a Christmas tree. Thanks for stopping by today. 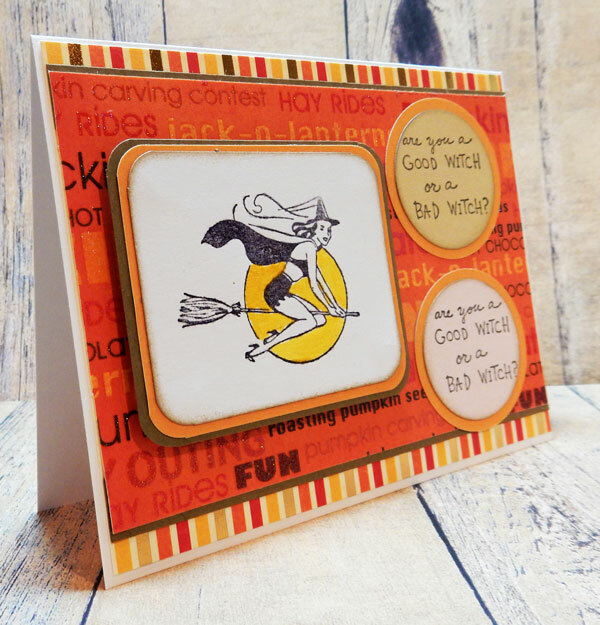 Don't forget to stop by the store and see all the fun new stamps available.